Great set of 6 colorful modern and trendy badges. 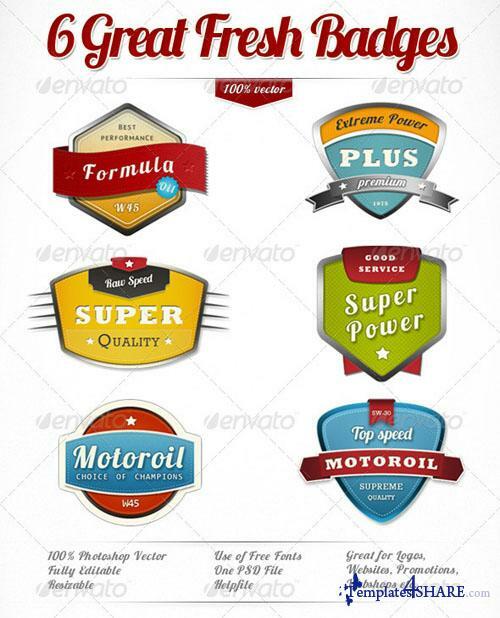 Add an original look to by using these fresh badges. Perfectly to professionalize you website or webshop. Great to pimp your logo, advertisement, promotion material, sticker, or t-shirt print.